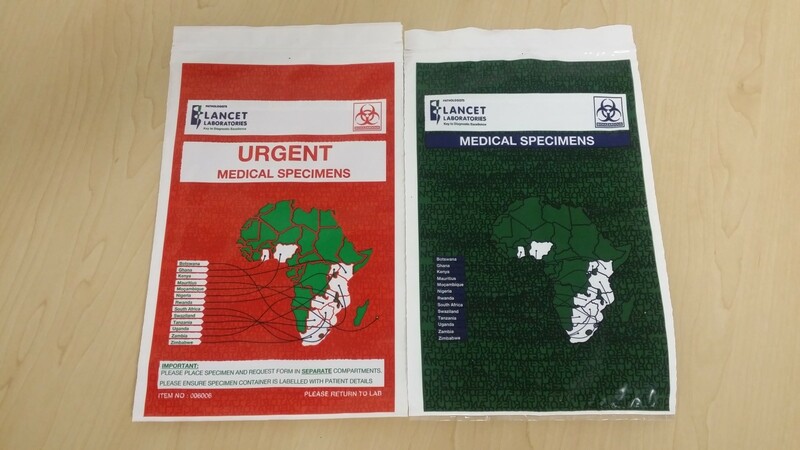 Used in the Pathology Industry for transport of biological specimens and samples, these bags have a Zipper bag and a separate document bag, pouch or sleeve to separate the patient details from potentially hazardous specimens. The document pouch comes in various options, IE sleeve, pouch, Clear Zipper bag, Pouch with reseal OR Permanent Tape. With print options from 1 – 2 colours or up to 8 colours, we can make any size as these are custom designed bags.